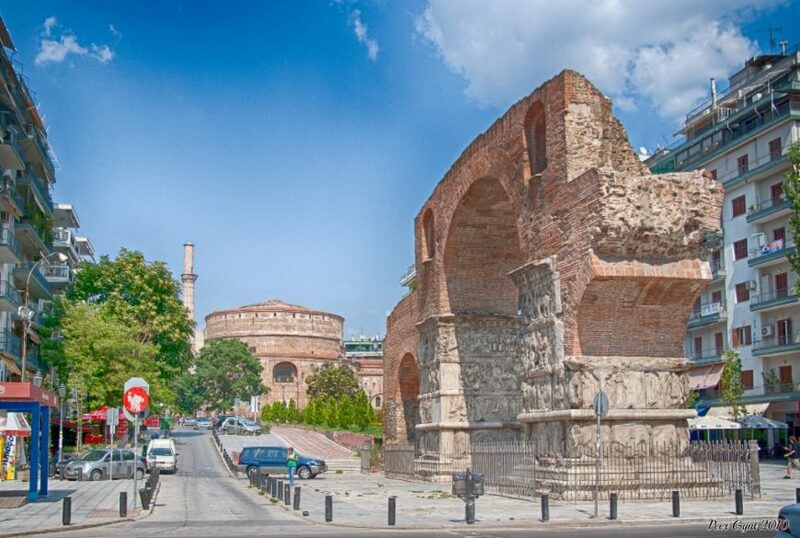 The Arch of Galerius or Kamara and the Rotunda are neighbouring early 4th-century monuments in the city of Thessaloniki, in the region of Central Macedonia in northern Greece. Both are some of the most important destinations to go whether you transfer Thessaloniki. The Rotunda is an ancient impressive roman monument inscribed in the World Heritage List of Unesco. 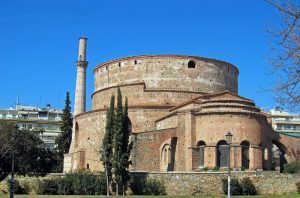 It was probably first constructed as a mausoleum for the Emperor Galerius, who had his seat at Thessaloniki at the end of the 3rd century and the beginning of the 4th. It was part of the impressive building complex which included the Galerius Palace (Navarinou Square), the Hippodrome, the Arch of Galerius (Kamara) and other buildings in Thessaloniki. 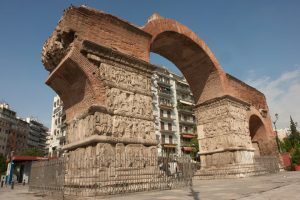 The Arch of Galerius (Kamara) is perhaps the most distinctive and interesting roman structure of Thessaloniki. It is also one of the most popular destinations of the city along with the White Tower for both locals and tourists.The arch was commissioned as a triumphal monument by emperor Galerius in order to celebrate the victorious campaign against the Sassanid Persians in 298 A.D. and the capture of their capital Ctesiphon.